I'm trying to identify this porcelain doll's artist. 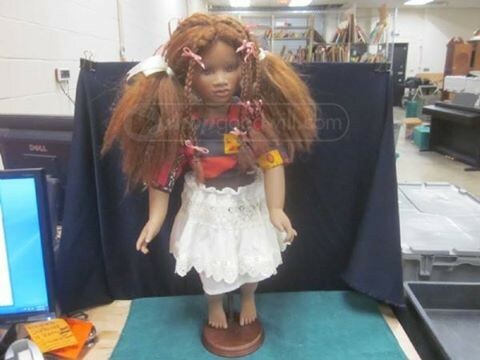 I won this doll in a Goodwill auction for $7.99. No paperwork came with this doll. Neither was there a year stamped on the neck, just a signature, that I can't make out. I'm assuming it's not an American artist. 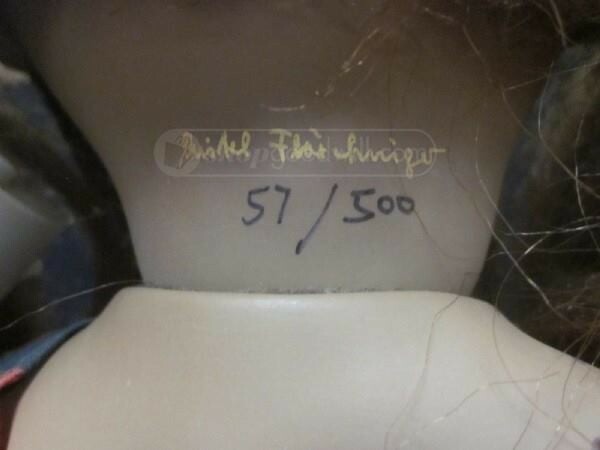 All I know is that this doll was number 57 out of 500, which is a small quantity. I was drawn to the unique eye color and the busy hair. She is my rescue doll :-) Thanks in advance for whatever help you can provide. 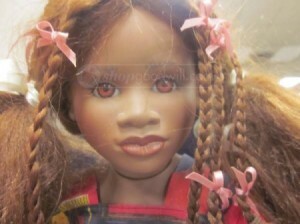 It is simple to use and will give you all the information that you need about your doll.